Hello there! We’re back from Egypt. A destination we’ve been meaning to visit for a while and now it has finally happened. Two weeks exploring the wonders of Egypt on an adventure-filled trip that exceeded our very best expectations. From the Pyramids to the Red Sea, we saw and experienced a lot. 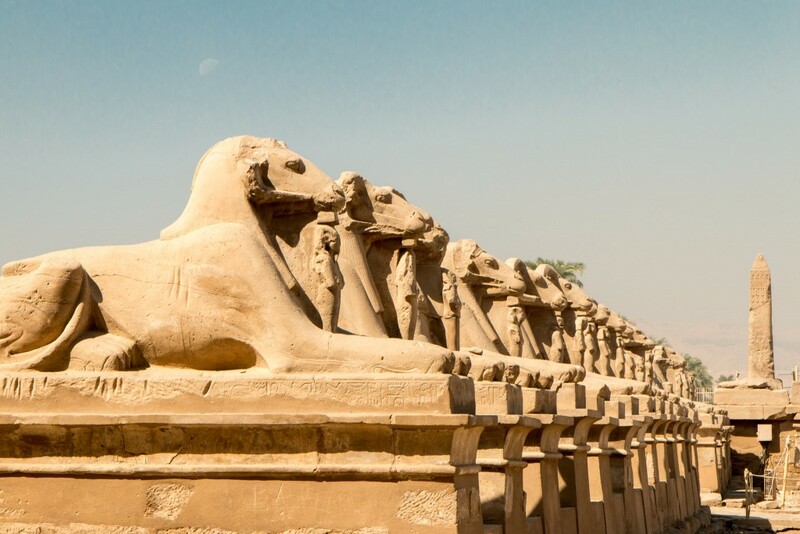 Egypt really is a great destination to visit, but not one without its faults. Let’s talk about some of the highlights from our trip to Egypt. The 2011 revolution changed everything for Egypt. Years followed and tourism collapsed due to the instability in the region. As a vital source of income for Egypt, the dramatic reduction in tourists took its toll. The country is struggling, badly. Back to the main question. Did we feel safe? Yes. We repeated this to family and friends. In all honesty, we never felt any kind of danger or threat, even when walking by ourselves. There’s police everywhere and in high numbers. Too much, really, to a point it feels a bit show off for foreigners. Checkpoints with a multitude of weapons are not uncommon. We just needed to get used to this. 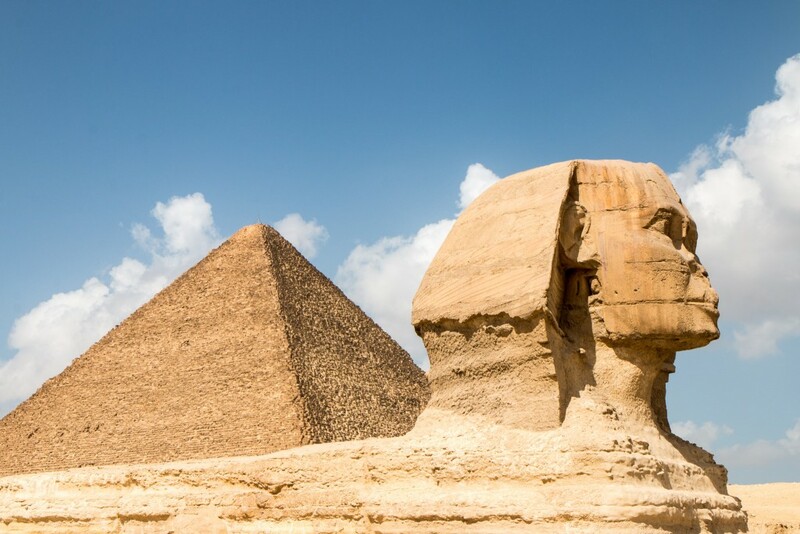 Ancient Egypt and its history are the reasons that brought us to Egypt in the first place. Thousands of years worth of history and countless monuments to see, including some of the world’s most famous ones. It’s hard to describe how amazing the pyramids of Giza, Dahshur or Saqqara are, the magnificence of the royal tombs in the Valley of the Kings or the impressive temples at Abu Simbel. And the list goes on. Guess we’ll have plenty to write about in the coming months! This was our second time travelling in a group. The last time we did it was in Jordan. We’ve travelled a lot since that trip and our main travel style still is to do things on our own, but for Egypt we knew we had to go for a group again. Having learned from the past trip, we chose a smaller group and a more adventurous trip. We decided to try Intrepid for our trip to Egypt and couldn’t be happier with our choice. Our guide, Ahmed, was amazing! An excellent and friendly guide, very proud of its country and a super knowledgeable Egyptologist. Thumbs up as well for our group members, we had a very good time with everyone. An alternative we used for our free time pre and post tour was Egyptian Sidekick, a new an innovative tour company in Egypt. Worth checking out. By comparing Egypt to some of our previous trips, travelling in a group is fundamental, especially if getting out of Cairo like we did. Making things work would have been difficult. Transportation is not great and English is still not very common in some places, amongst other things. Our trip to Egypt included a few interesting local experiences. In the south of the country, we had a delicious traditional meal at a Nubian family’s house and slept in another Nubian house the next day. We got to know how this community lives. 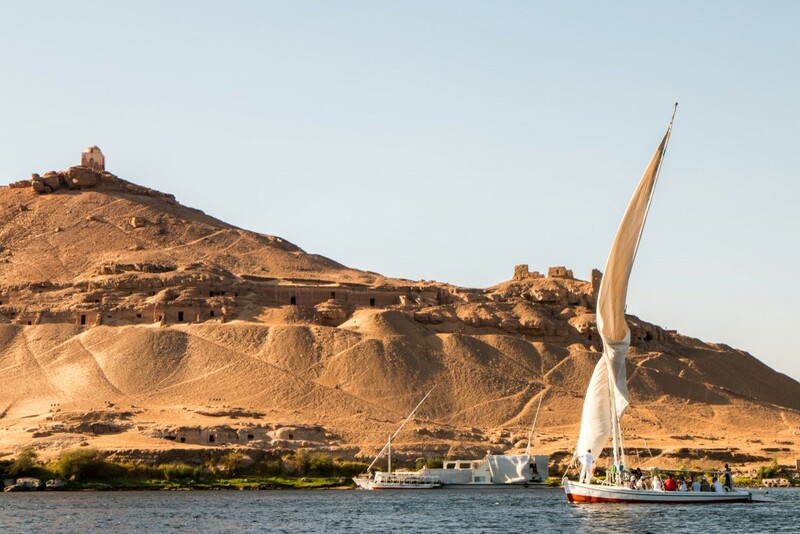 We did this as part of our stay in and around Aswan, which included a 3-day Felucca trip. On the west bank of the Nile, opposite to Luxor, we went for lunch with a local family and had the opportunity to learn about their traditions. We ate at local places and tried various Egyptian foods, something that the most sensitive westerners are not used to! Thankfully our stomachs survived. Egypt has a very rich culture. Today it is seen as a middle-eastern country, with most of its population being Muslim. Mosques and markets are a very common sight, including some spectacular ones. Cairo is the capital, and home to 22 million people. This is a massive number. The pollution levels are high and the amount of garbage on the streets is shocking. Driving is an adventure since rules seem to have been forgotten. These issues will definitely impact first-time visitors. We had to ignore them in order to enjoy the good things Cairo has to offer. With the current economic situation, a tourist is seen as a “target” for sellers, and hassling is very common. Usually, a “no” (or a few of them) will stop them. We never really had a problem with anyone being too pushy or anything, but it was definitely a test for our patience. On the other hand, we also met a lot of friendly people. The youngsters really like to take pictures with foreigners! A trip to Egypt doesn’t feel complete without a visit to the Red Sea. One of the highlights of our trip has to be the day we spent on a small island an hour boat ride away from Hurghada. 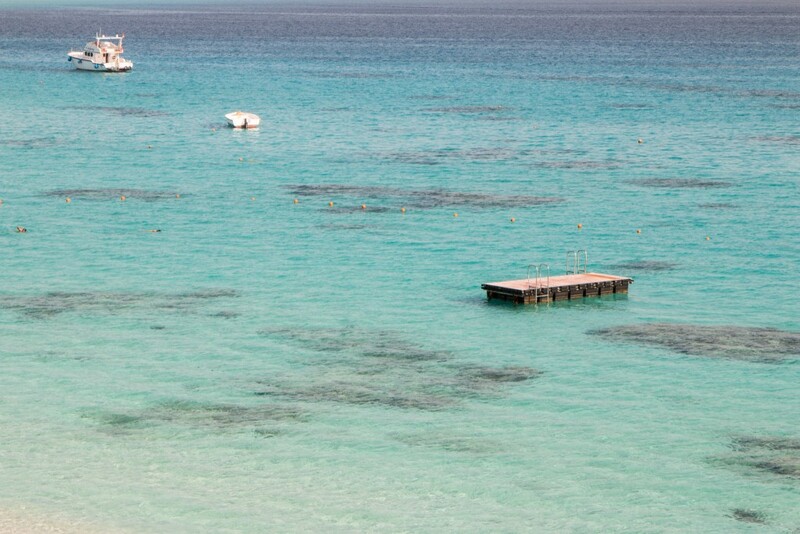 The Red Sea is great for beach lovers and even better for snorkelling and diving! We pretty much stayed the full day inside the warm water (peaking at 27 °C), swimming with dozens of different colourful fish. The Red Sea is a prime destination for underwater wildlife in the world. These two weeks we spent in Egypt got us out of our comfort zone in many ways. As we keep travelling the world and going to different countries and getting to know a multitude of cultures, we learn a lot every time. Egypt was no exception are we’re glad we made it there. After all, it’s probably one of the most famous destinations in the whole world. 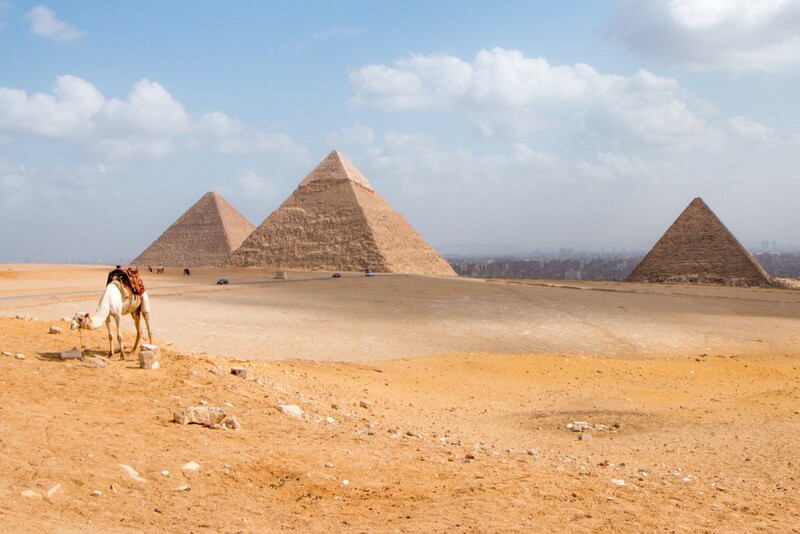 If you’ve always wanted to see the Pyramids or the Valley of the Kings, then you should do it. 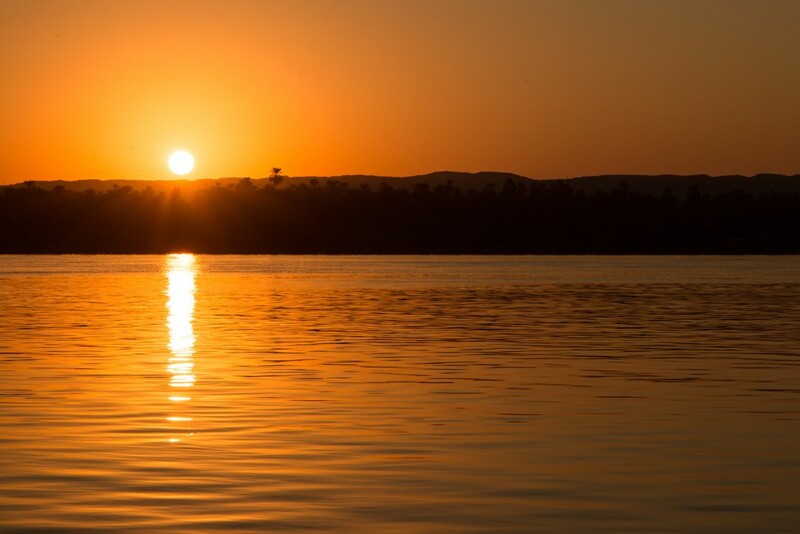 Trust us, visiting Egypt is definitely worth doing. 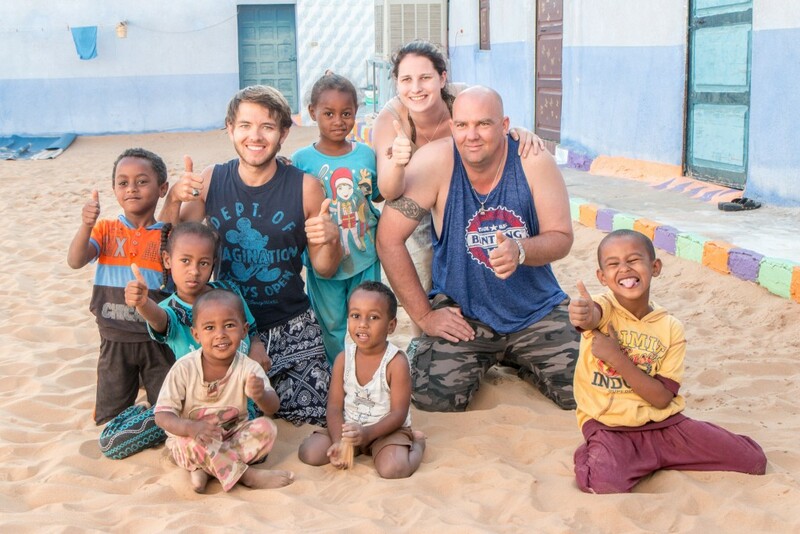 Stay tuned for more about our trip to Egypt! Have you been to Egypt? Would you go? Egypt is a beautiful country with so so so many great sites, I visited only a small part, and definitely want to go back there one day! We felt like we saw the highlights over these two weeks, but on the other hand we know there are lots more things to see there! Your experiences sound quite fascinating. Egypt is a place with so much history to explore. I think I’d definitely do something with a tour group for this part of the world. While I believe that the media overblows the dangers, there is safety in numbers and a local guide to navigate any potential issues. Thanks for sharing! Thanks Jackie! Totally agree with you on that. We had a pretty good time there and visiting as a group is the best way to do it right now. I’m glad you posted this. I still desperately want to visit Ancient Egypt and see the history first hand but I’ve been so concerned about the unrest in the last few years. Glad you had a safe trip! Loved the photos and it sounds like you had a great time. There is so much to see in Egypt I think doing a tour is definitely a good way to go. Thank you, Rob! More stuff to come soon. We saw a lot over there. Tour was great, excellent guide and nice and friendly people. I would have to agree with that. Cairo is chaotic. Visiting only Cairo is probably a big disappointment and cultural shock for a lot of people, not just you. I would probably have felt like that as well if our trip was Cairo-only. It may be a bit of a shame that the pyramids are very close to a city, but c’mon, they are amazing! Still worth visiting. 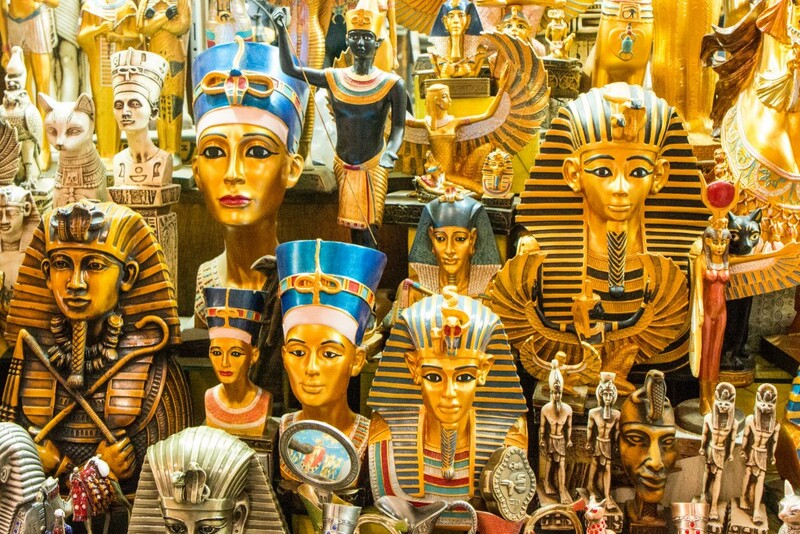 I’ve never been to Egypt, but I’ve always wanted to…The whole country seems to be like an open air museum. A history junkie paradise. Right to the point! Luxor is actually considered the biggest open-air museum in the world. If you like history, it’s a must visit place. Just get a guide/egyptologist to explain what you’re seeing as it can be a bit overwhelming! A bit like us. We’ve always wanted to visit, but a mix of safety concerns and other trips kept delaying it. Now that we’ve visited, we’re super happy we did it. Intrepid seems to be very reputable there. Can’t recommend enough our guide. Brilliant. Danger is always a matter of perception, experience and everyone’s personal opinions. I am glad you enjoyed. the south, and Sudan, where Nubians are from, is fascinating! Very true. All about perception. The point is, we’ve felt “less safe” in other places where safety is not supposed to be an issue. That’s why we wanted give our opinion regarding safety in Egypt. It was very interesting finding out about Nubia and the Nubians. We had no idea they even existed. Now we know a bit about their people and their history. 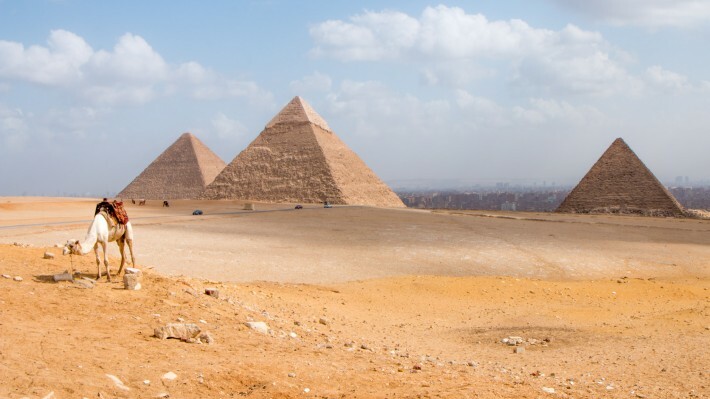 Great travel tips, it reminds me of our trip to Egypt. Thank you for shaing this article. Thanks for sharing your experience. I’ve always wanted to go to Egypt but had put it on the back burner lately. You’ve got some great information that made me feel much better about wanting to get out and travel there. Beautiful pictures as always! I would love to visit Egypt one day. errr… I’m in doubt here. I really want to travel to Egypt soon, but wven with police everywhere some major tourist sites keep telling me it’s not safe. Of course I believe first hand experience, but still, any other opinions on this matter? Well. We were in doubt as well before going. What we can tell you is that we found Egypt to be safe. Yes, there seems to be police everywhere. To be honest, it’s too much and looks a bit exaggerated and show off for the tourists. The truth is that we didn’t feel threatened by anything or anyone during our trip. We walked by ourselves in multiple cities, day and night. All the tourist sites will have a police blockade at the entry. They are there for your safety and it’s just fine. Most of the problems in Egypt occur in the North of the Sinai peninsula, which is far. Let us know if we can help any further. Very informative article and lovely photos. Thanks for sharing.. I appreciate your research on the topic, found almost everything I was looking for.